Narita International Airport has renewed and expanded a contract with Rockwell Collins for the deployment of ARINC Common Use and Self-Service Passenger Processing systems in Terminals 2 and 3. Passengers will be able to check-in faster, which will be of enormous benefit to the airport, being Japan’s second busiest with more than 35 million passengers passing through every year. Rockwell Collins’ ARINC airport systems offer a wide range of solutions for airports of all sizes, including offsite baggage check-in options with ARINC ExpressDrop. Malaysian AirAsia has launched the first automated self-service baggage drop system in the country at Senai International Airport. The system, which includes self-tagging, check-in and baggage drop, is fully automated and gives AirAsia passengers complete control of the check-in process, saving time and simplifying passenger processing for the airline. Automated self-service check-in is revolutionising passenger experience all over the world, offering a streamlined experience for both passengers and airports. Airlines are able to manage costs more efficiently with a self-service system, as more passengers book and check-in online and arrive at the airport with pre-printed boarding passes. The system at Senai allows passengers to use the kiosks at the airport to print bag tags before using a handheld scanner to process both this and their boarding passes without any intervention from airline personnel. Other providers of self-service kiosks, such as Rockwell Collins’ ARINC BagDrop system enables cost sharing amongst airlines with a multiple airline bag drop facility, removing the necessity for dedicated airline baggage drop points and saving valuable space within the terminal. A recent report from SITA has highlighted that the rate of baggage mishandling has reduced by more than 60% on a global scale in the last eight years saving the sector an estimated $18 billion since 2007. The sharp decline in mishandling is in spite of the increase in passenger numbers and the improvements are due to the rise in investment by airlines and airports across the world in enhanced baggage handling systems. Over the past few years airport improvements to the passenger processing system, particularly in self-service bag drop and check-in technology has risen dramatically, and has been almost at the top of the priority list for spending. Optimising the check-in process means reduced queues, increased passenger experience and a streamlining of airport systems. The biggest baggage handling systems providers offer baggage self-tagging, multiple airline bag drop facilities and even off-site check-in capabilities. The days of two-hour pre check-in and long queues at peak times are behind many of the world’s major airports and passengers are noticing the difference. Cost savings are clearly a huge benefit for airports and airlines, and open up the possibilities for more future investment. Last week the Transportation Security Administration (TSA) offered a rare behind-the-scenes look at the journey luggage takes through the Philadelphia International Airport baggage handling system. As one of the first airports to implement automated explosive-detection in 2003, following government mandate introduction of explosive-detection screening after the terrorist attacks of 9/11. 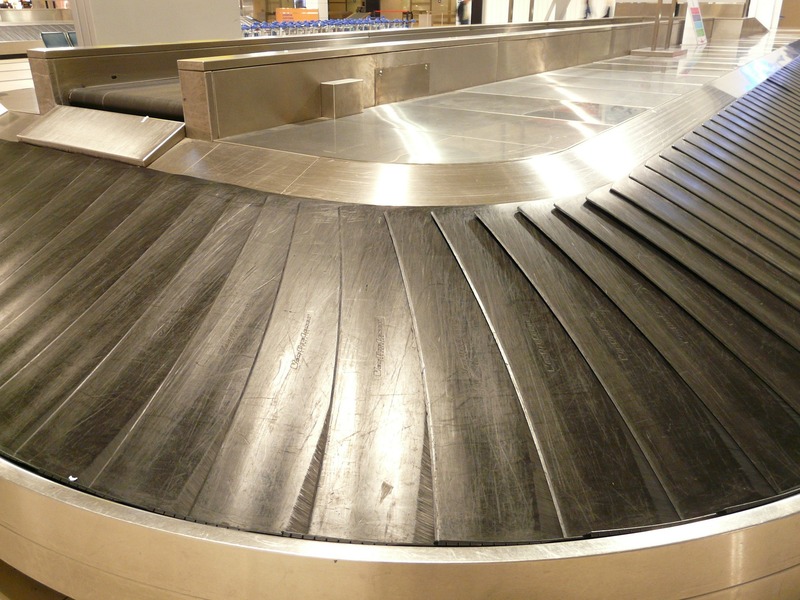 The automation of explosive-detection at Philadelphia International baggage handling system can mean that 1,000 bags every hour are screened – via an in-line system of conveyor belts and detection machinery. The luggage embarks on a 15-minute journey through the airport baggage handling system and travels almost a quarter of a mile, almost never being handled by human hands. If cleared, via sophisticated CT scanning equipment, the luggage makes its way to the aircraft. If an alarm is activated, or if TSA wants a closer look, the bag is removed, opened and physically searched by a TSA officer at an inspection station. Electronic screening and an automated baggage handling system can improve operational productivity at airports by streamlining a previously complicated, manual system. Not only does the system improve efficiency, but can also reduce physical injuries from lifting heavy baggage and reduce the possibility of damage to passenger baggage or instances of theft. The Guam International Airport Authority has announced plans to install a state-of-the-art baggage handling system which they hope will be completed by the middle of next year. 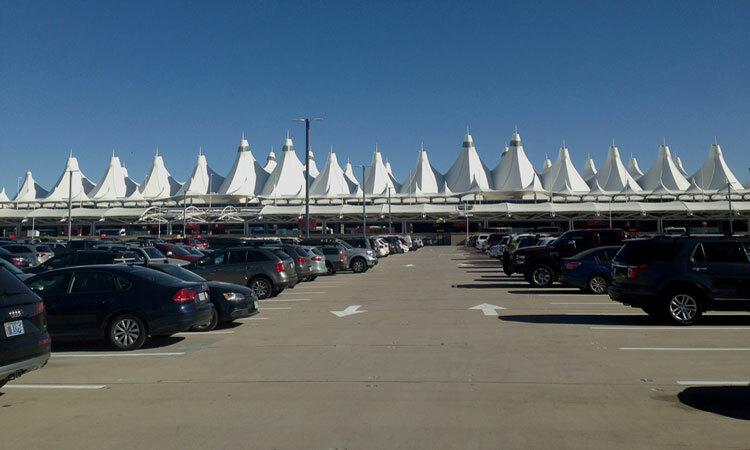 Funded by the Department of Homeland Security Transportation Security Administration, the $26million project has been in the planning stages since July last year. The new baggage handling system is expected to double the handling capacity for GIAA and will incorporate baggage screening capabilities. Using the latest technology allows airports to free up valuable terminal space with multi-airline check in and ticketing and multiple airline bag drop. Passenger experience is also enhanced with improved baggage handling systems, reducing queuing and allowing passengers to shorten waiting times within the terminal.